New version of BlinkStick Client application RC6 has been released! Improvements to remote control notification which adds support to specify channel, first and last LEDs. Support to set color or play pattern. You can find more details about new remote control API for BlinkStick Client application by following this link. Download the new release BlinkStickClient-Setup-2.0-rc6-x86.exe. BlinkStick Node has been updated to 1.1.3 which fixes the issue of installing the package on new operating system OSX versions. There does not seem to be much info, but this project looks quite interesting and worth keeping an eye on! 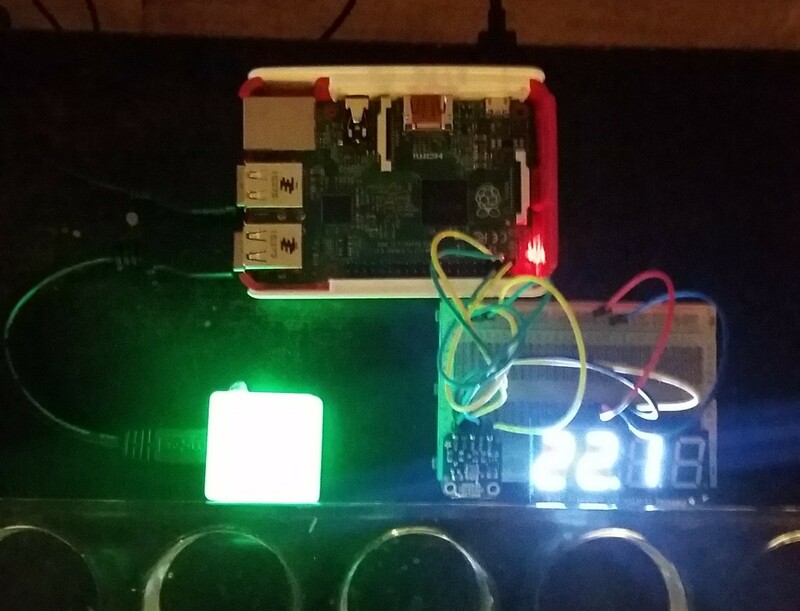 An LED lit frame showing colour based on current room temperature with front mounted 7 segment display and BlinkStick Square inside an enclosure, of course!